Choice of 2 Pastas: Spaghetti (Marinara or Meat Sauce) or Fettuccine Alfredo. Serves 4, includes Family Salad and 8 Breadsticks. Choice of 1 Pasta: Spaghetti (Marinara or Meat Sauce) or Fettuccine Alfredo. 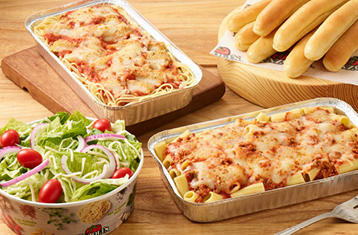 Choice of 1 Bake: Baked Lasagna, Chicken Parmigiano or Baked Penne. Serves 4, includes Family Salad and 8 Breadsticks. 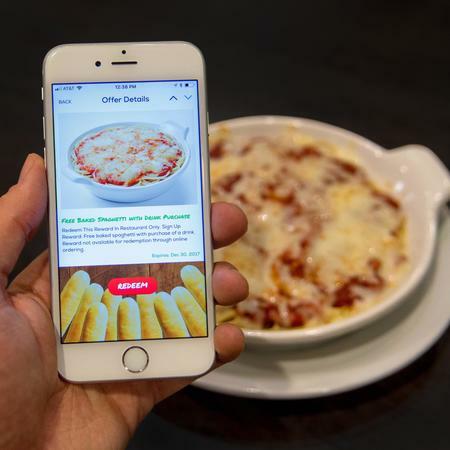 Choice of 2 Baked Pastas: Baked Lasagna, Chicken Parmigiano, Baked Spaghetti or Baked Penne. Serves 4, includes Family Salad and 8 Breadsticks.